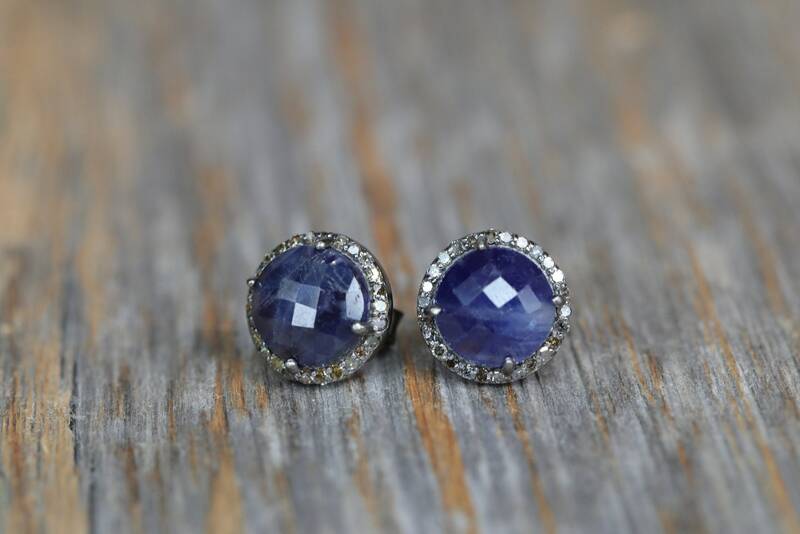 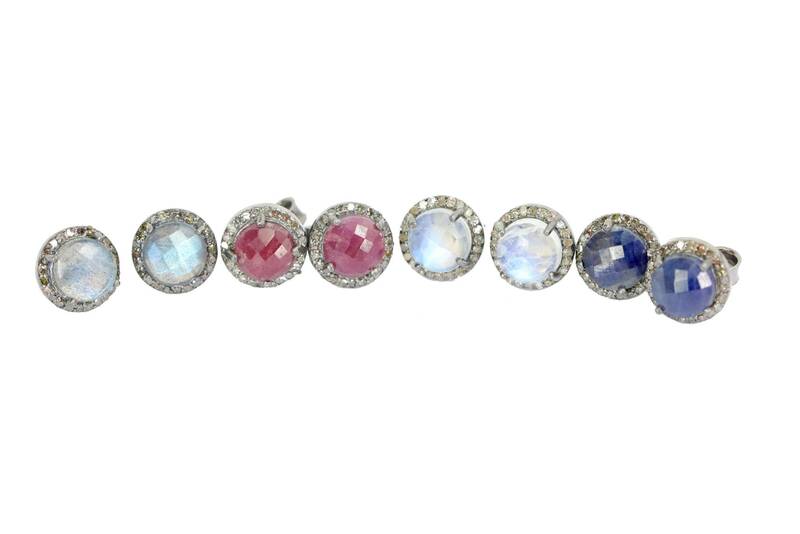 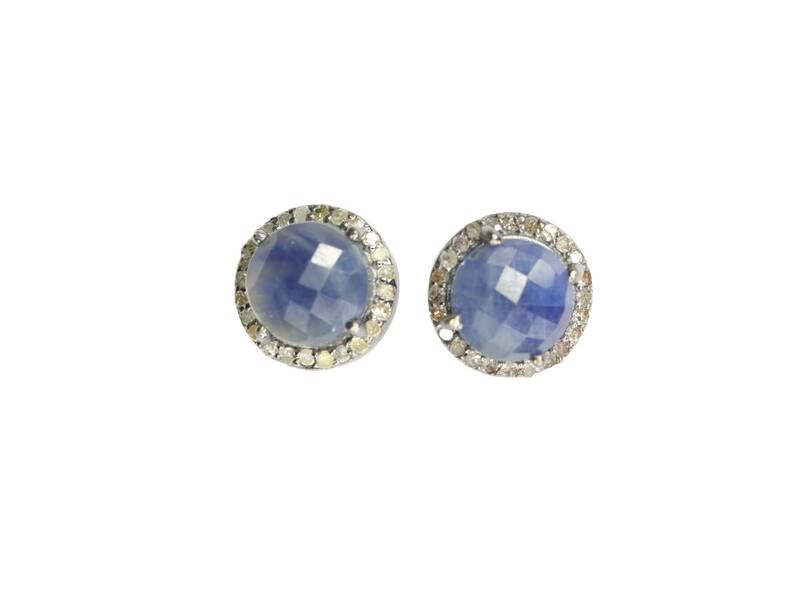 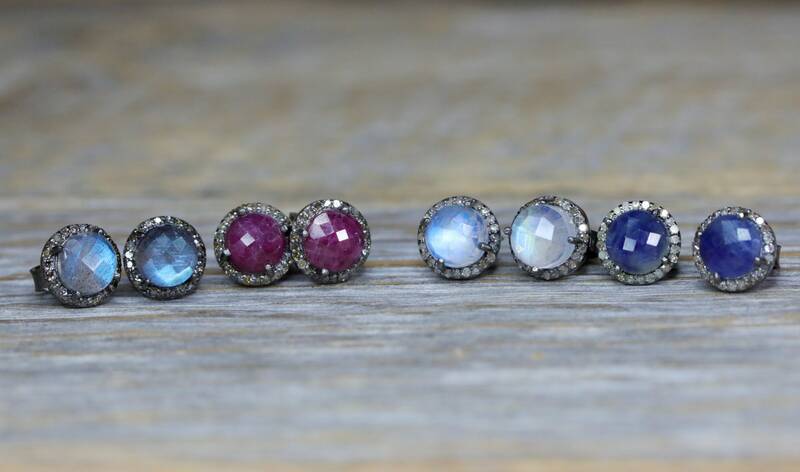 These are 10-11 mm diameter genuine faceted Blue Sapphire and pave diamond stud earrings. 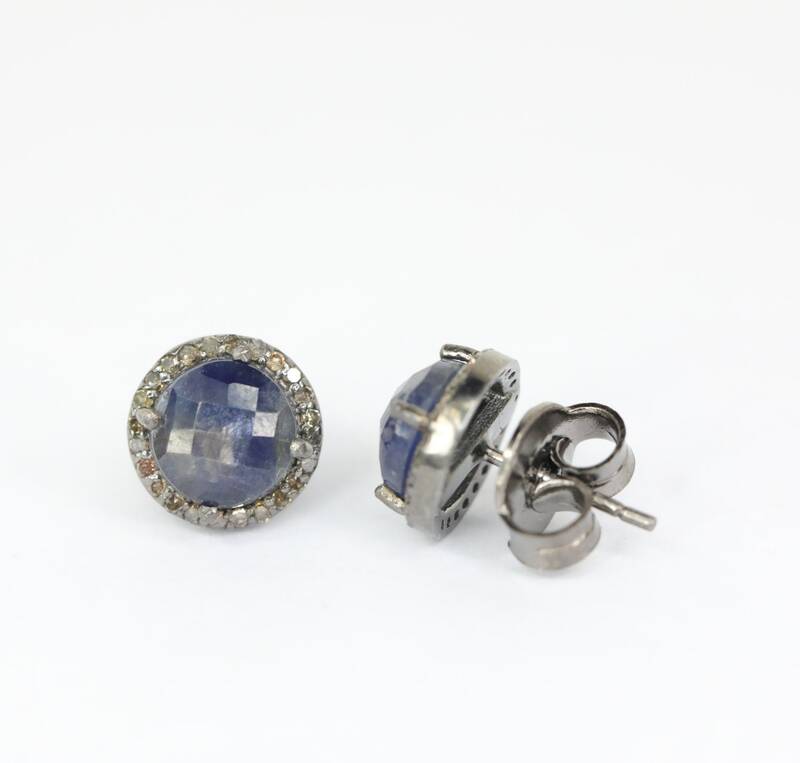 The sapphires and diamonds are set in oxidized sterling .925 silver. 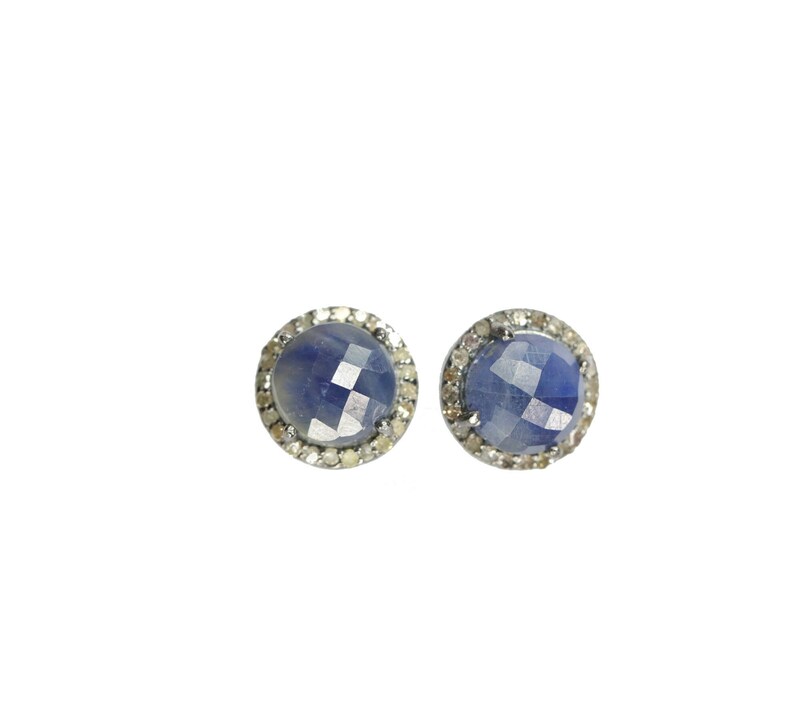 These are the perfect simple yet sophisticated diamond stud earrings made with the current oxidized sterling silver trend.